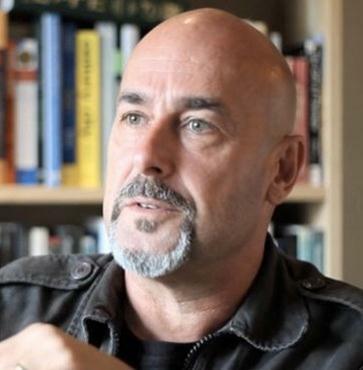 Mike Frost founded Small Boat, Big Sea in the Manly suburb of Sydney, Australia, as a missional congregation in 2001. Already a well-known conference speaker and Morling College Lecturer, he has been instrumental in establishing a number of missional initiatives, including the Forge training initiative, and contributing in significant ways to the ongoing conversation about what is meant when we use the term ‘missional’ as an adjective. A key element of this has been his insistence on retaining the central use of ‘incarnational’ as a way of nuancing the way he defines ‘missional’. Mike is currently working on a new book for IVP that will explore his introduction of a new term; ‘Excarnation’. In this short interview, Mike speaks exclusively to VISTA about what this more recent development indicates and how it can move the missional conversation forward. Q: Mike, you’ve recently introduced the neologisms ‘excarnate’ and ‘excarnational’ to the missional vocabulary. What are you adding to the missional conversation and what deficiencies in that conversation might you be attempting to highlight? You know, that’s a good question. Someone recently said to me, ‘Oh, you just want to talk about incarnation but you’re coming at it from the opposite direction!’ But it’s not just a trick to inject freshness into an old conversation. I think that the idea of ‘excarnation’ highlights the degree to which a secular age has drawn churches into a de-fleshed, or a disembodied experience of relationships and community, disconnection to place, the recognition that the secular age’s impact more profound, despite conversations about postmodernity some years ago. I think it needs to be addressed that if Christians think their biggest issue is “How do we attract people back to church?” they’re not seeing the depth and breadth of the secularisation of western society. So, I think that understanding what we’re up against only reinforces the need for us to embrace an embodied spirituality in our age. Q: What are the dangers in coining a new term like ‘excarnate’? How do you avoid it being hijacked by all and sundry as a way to then authenticate everything they’re doing simply by their using the term? Well, whereas ‘incarnational’ is a term to describe something we’re calling people to, ‘excarnational’ is a term which more describes the way life is and I don’t think it will be so easily misused because it’s not an affront to us, it’s more a way of describing our current reality. It highlights the way in which we’ve happily embraced a bifurcation of the world and church, of body and soul, of heaven and earth, so that, in a sense, our spirituality is lived in our imaginations, in our so-called ‘souls’. We place our hope in a distant and future heavenly realm, remain anxious about this world and, in fact, our secular framework only reinforces this behaviour. Now, with the emergence of screen culture, we live lives that simply skate over the surface of life without entering deeply into the neighbourhood or relationships. I’m not a Luddite claiming that these things, for example, the presence of social media, are evil. I’m simply saying that we need to think about the way that these things are shaping the way that we think, the way that we act, and the way that we respond to each other. Stuff that we acknowledge that we once carried bodily, in a relationship, in a particular context, is now almost entirely maintained for us in our minds or in our imaginations, in our computers. I’m not saying the internet or that computers are evil, I’m saying that I once knew things because I sat at my father’s knee and he taught them to me, demonstrating them with his hands and fingers. We once knew how to cook because our mother’s showed us how to pick up a pinch of salt and stir it into the dish. Now, a Nigella Lawson podcast can tell us how many grams it’s going to need. Most Christians I talk to say “Well, no I’m not!” and so the alternative is to embrace an embodied, en-fleshed spirituality, which of course leads us towards ‘incarnational’. Q: What will be the biggest surprise to followers of Jesus in Europe and elsewhere as they come across this next Frost offering of a new term in the missional conversation? I think that they will be surprised to see the degree to which secularisation has become so entrenched. Secularisation isn’t just a drift towards non-Christian morals and the like. It’s a complete change of the way that we understand knowledge and our place in the world. I think they’ll be surprised with the degree to which the church has not only been swept along by that but has actually contributed to maintaining it by its over-developed sense of dualism. I’ve spoken about that in other books that I’ve written. It’s not just about us getting out more into the neighbourhood but it’s about us asking ourselves, “What habits, or liturgies, should we be building into the lives of believers to help countermand all the secular rituals and habits that are present and which lull us into a sense of the bifurcation of life into a de-fleshed, excarnational, non-contextual or hyper-contextual understanding of community, neighbourhood, and knowledge?” It’ll be a diagnostic kind of book as much as it is a prognostic kind of book. Mike’s next book is due for publication by IVP in early 2014. Darrell Jackson conducted this interview with Mike Frost in Sydney on the 12th December 2012. In a rapidly changing world one of the ways we make sense of the changes around us is by inventing new words (neologisms) to describe the new in terms of our existing worldview. 2012 has given us new words for widespread political disorder (omnishambles), impending economic disaster in Europe (Eurogeddon) and the youth have reinvented the Latin phrase carpe diem as yolo, “you only live once”. In this edition of Vista we take a close look at two neologisms. Our headline article, by Darrell Jackson, is an exclusive interview with Mike Frost, whose upcoming book will introduce the concept of “excarnation”. Frost argues that Christian relationships and community are being disembodied by secularism and this poses real challenges for Christian mission today. That is followed by three articles looking at another neologism which despite appearing less than fifteen years ago has already become part of our common Christian language – the word missional. Jo Appleton presents the results of her research into the understanding of missional among 18-30 year-olds. I then try to tackle the difficult challenge of considering how missional might be measured. And Jo presents a case study where she allows the voices of leaders of missional communities in the city of Berlin to define what missional looks like in their context. Vista concludes with a review of three non-English titles engaging in the missional conversation in Europe. Neologisms are necessary but dangerous. All too easily they can become jargon which is only intelligible to those who are “in the know”. Good neologisms require little definition since their meanings are intuitive. Others are open to such a wide range of definitions and interpretations that, rather than facilitating communication they quickly end up in the neolograveyard. Sorry, I couldn’t resist it! Let’s hope missional doesn’t turn out to be one of these.